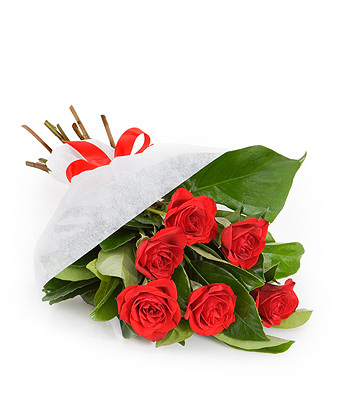 Flowers from $39 - EASYFLOWERS Australia - Send Flowers Online Australia wide with Australia's Favourite Online Florist! Is there a better feeling in the world than giving your special somebody a memorable gift on the most romantic day of the year? 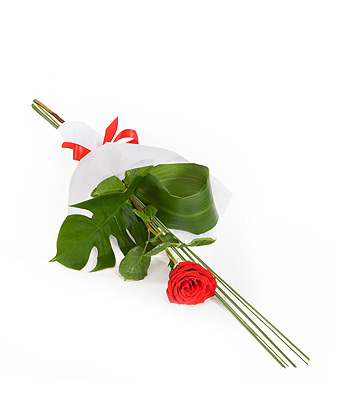 EASYFLOWERS is your wingman to help you deliver an extraordinary Valentine’s Day. 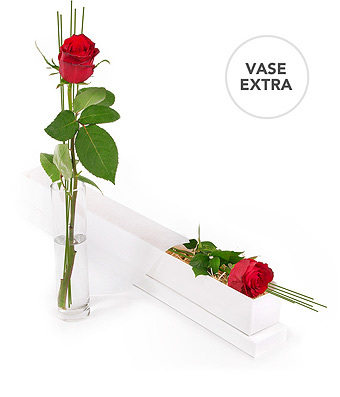 Whether your better half is all about the simplicity of modern elegance or adores traditional, timeless classics like our long stem red roses, we have that perfect design to help you express your thoughts and feelings when words just won’t cut it. Just so you’re in the know, Valentine's Day isn’t just for people in romantic relationships. Valentine’s Day is meant to celebrate all relationships with friends, family, and even coworkers. Just think about all those wonderful people in your life who would treasure a Valentine's Day delivery. Sending Valentine's flowers has got to be one of the easiest ways to show your sweetheart you’re thinking of him or her on this special day (Yes, him! What guy wouldn’t go nuts over some gorgeous Valentine’s Day flowers delivered to his home or office?). All our flower bouquets and arrangements are beautifully hand-arranged by expert local florists using quality stems, lush foliage and stunning finishing touches. Show how deep your romantic feelings run by sending an exquisite and luminous bouquet or arrangement of fresh long-stem red roses. This classic choice for Valentine's Day flowers will always evoke Oohs and Aahs. Other popular Valentine's Day gifts include our 24K Gold Dipped Plated Rose. Each rose is one-of-a-kind, meticulously undergoing a process with over 128 steps. 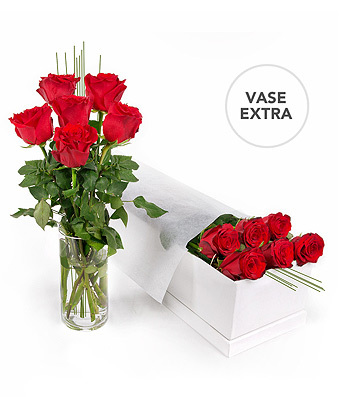 Order a pink or red Gold Rose for next business day delivery, Australia wide. Our pamper hampers are the perfect way to spoil anyone! With soothing lotions, soaps, fragrant candles, sparkling wine and more, these essential bath and body gifts are a great idea for when your Wonder woman could use a little relaxation. Who doesn’t love saving buck or two? If you’re looking for a great deal, EASYFLOWERS has some amazing specials on Valentine’s Day flowers. Who said you can’t celebrate the joys of love without spending a fortune. We offer all kinds of affordable Valentine’s Day flowers that look incredible. 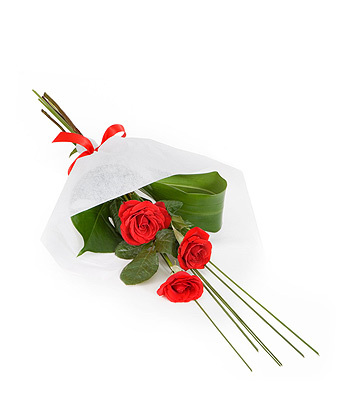 We have the best range of flowers at the best price - fresh bouquets for your Valentine has never been so easy. So why are red roses the flower to send on Valentine’s Day? 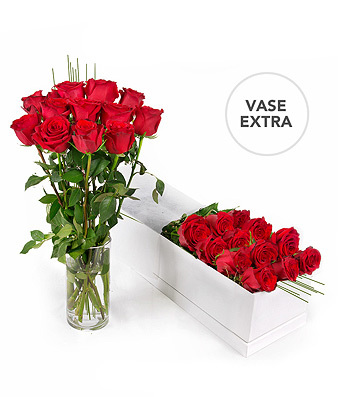 Long-stemmed red roses are synonymous with Valentine’s Day, but how did this come to be? The tradition of giving Valentine’s Day flowers goes back to the late 17th century, when King Charles II of Sweden travelled to Persia and discovered a new art form, ‘The language of flowers’. This expressionist art focused on the ability to communicate using flowers without uttering any words at all. The giving of a yellow carnation meant they’d disappointed you, a purple hyacinth translated to “I’m sorry”, but the one that we’re most familiar with is the red rose, which demonstrates a deep love. It took on this meaning because of its affiliation with Aphrodite, the goddess of love. In Greek mythology, it is said that rose bushes grew from the ground through Aphrodite’s tears and the blood of her lover, Adonis. EASYFLOWERS is proud to be 100% Australian Owned and Operated. All of our flower arrangements are designed by Australian florists with our uniquely Australian style. Bright, colourful and bold flower designs typify Australian floral design. By buying Australian owned and operated you will also get better value for your money with flowers from $39 you are bound to save. By buying Australian made you are supporting local Australian florists by keeping your money within our community. Our high quality Australian florists are located in Adelaide, Brisbane, Canberra, Darwin, Hobart, Melbourne, Perth, Sydney as well as all major Australian regional centres including Geelong, Newcastle, Gold Coast, Townsville, Cairns, Wollongong, Launceston and Alice Springs. "WONDERFUL SERVICE! THANK YOU. IT MAKES LIFE EASIER FOR ME LIVING IN THE UK TO BE ABLE TO ORDER FLOWERS ONLINE FOR MY DAUGHTER IN OZ"
"I've never ordered flowers online before. (I'm from that 'elderly' era). I was pleasantly surprised at how easy the ordering process was. Very happy." "Ordering flowers online is a daunting exercise due to the cost involved and not really knowing what you will receive for your money. Extended family who saw these flowers have said they were beautiful. A photo is on its way to me. Thank you for the great service." "Great to be able to order flowers online"
"First time ordering flowers online very happy thank you"
"Easyflowers take the hassle out of ordering flowers online." 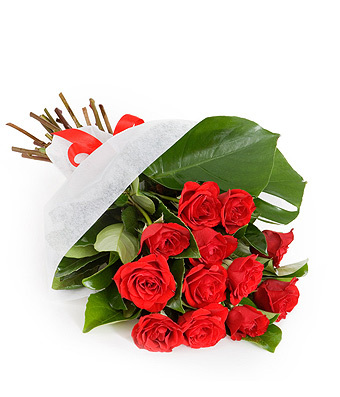 "I ordered the flowers online from Canada and they were delivered to the Perth location on time and beautiful. It certainly made my sister-in-laws day. Thank you." "I was a little nervous buying flowers online, but when they arrived they were gorgeous! There was colour, they were in excellent condition & the glass vase was very elegant, and impressive! Thank-you will defiantly keep using easy flowers! What an easy process!!" "Wow. I ordered flowers online at 8am and my lovely friend received them before lunch....can't ask for better service than that! And they were beautiful! Will be definitely using easyflowers again"
"This is my third time using Easy flowers online and never fail to impress. I got to see this delivery and the flowers where beautiful. Always a pleasure." We're here to help, and help quick! Save up to 25% OFF a special selection of products just for agreeing to receive our Weekly Deals & Discounts emails. Offer does not apply to telephone orders. Online orders only. Must click Accept to redeem the deal. Cannot be used with any other offer.